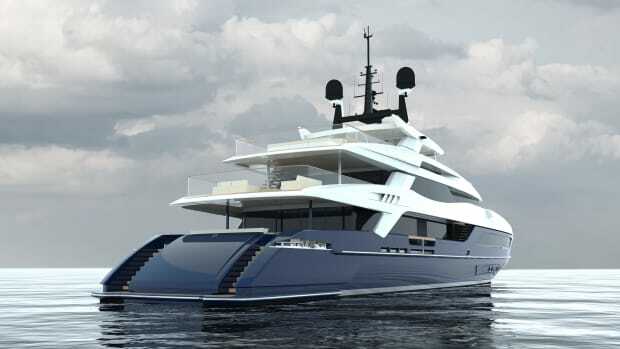 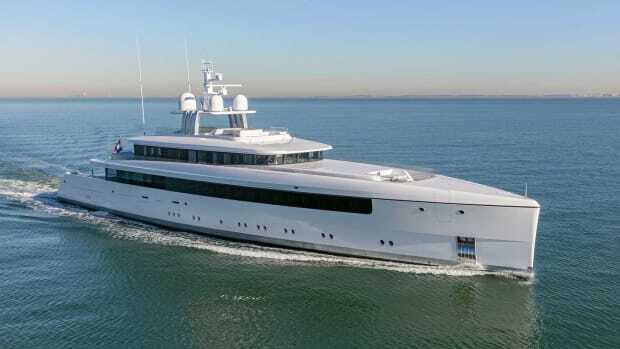 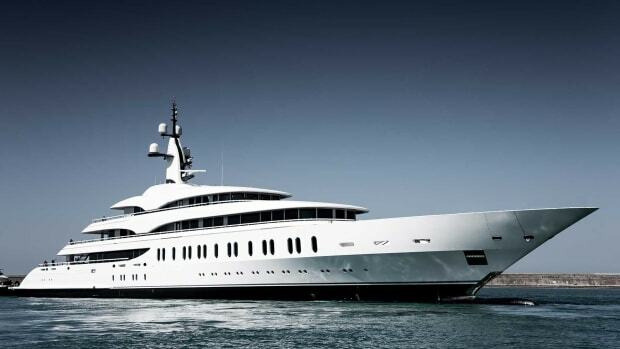 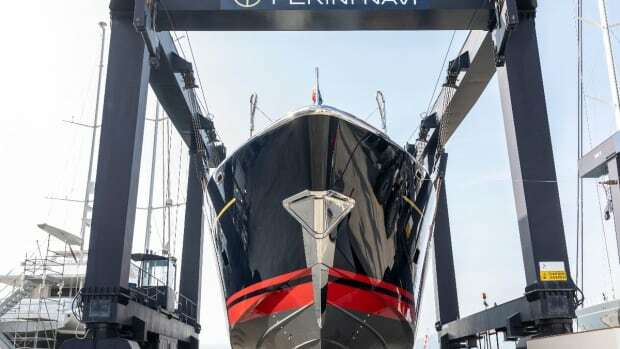 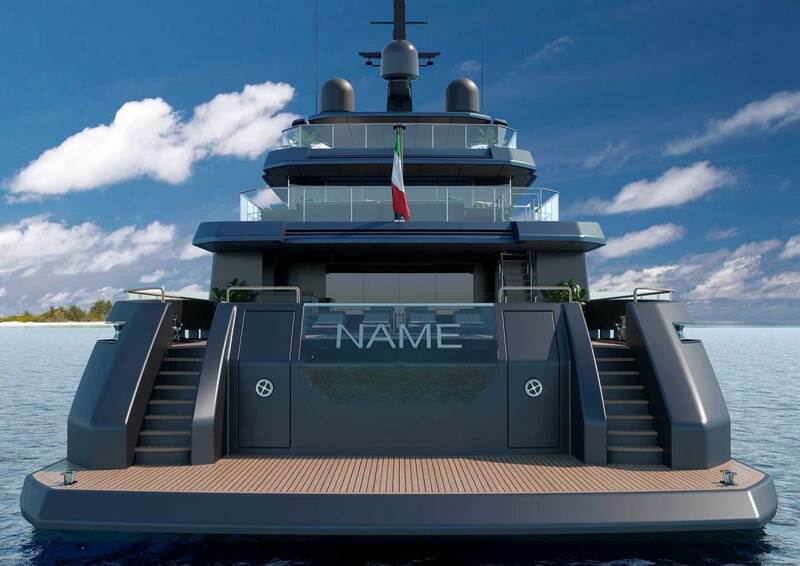 Mondomarine, a Palumbo Superyachts brand, is adding a new DISCOVERY line to its projects. 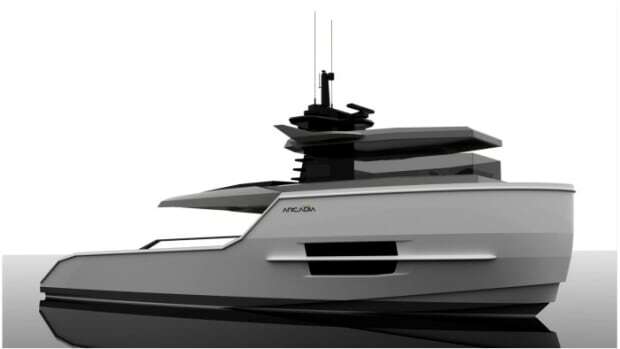 Encapsulating the characteristics of explorer-style yachts, the new model offers exceptionally large outdoor spaces that are easily open and accessible to the indoor layout, blurring the boundaries between the two areas. 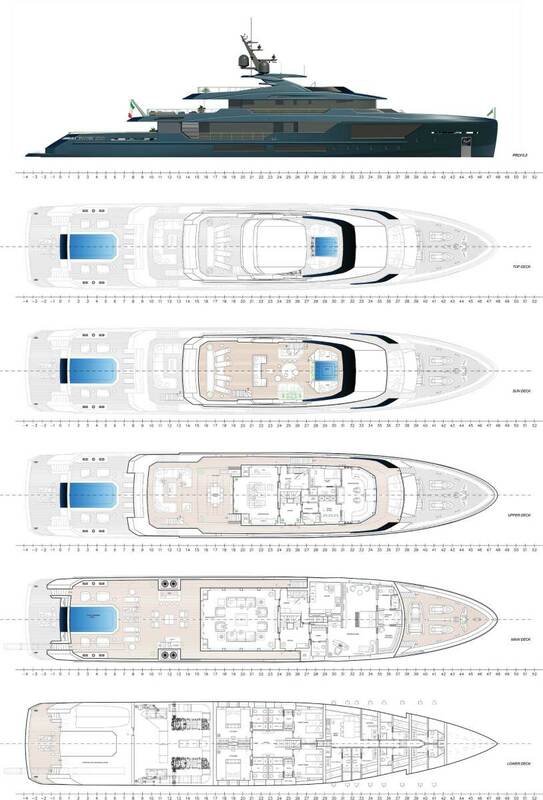 The DISCOVERY line comprises four models including the 43m (141ft), 50m (164ft), 57m (187ft), and 75m (256ft) versions alongside their all-aluminum Classic line available in 43m (141ft), 50m (164ft) and 63m (207ft) versions. 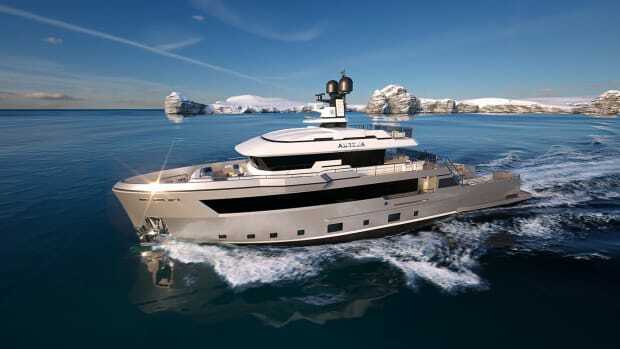 The first model to be unveiled is the DISCOVERY 57 meter penned by Luca Dini Design. 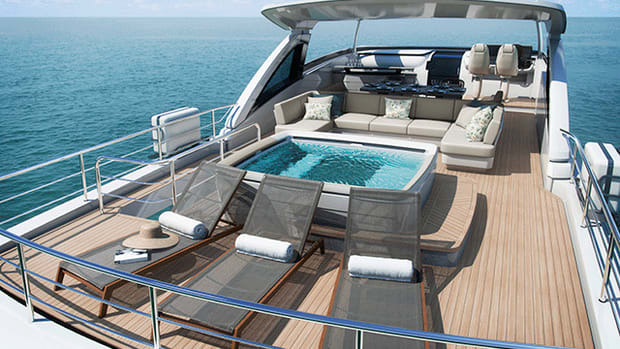 DISCOVERY 57 is an elegant yacht with contemporary sporty lines. 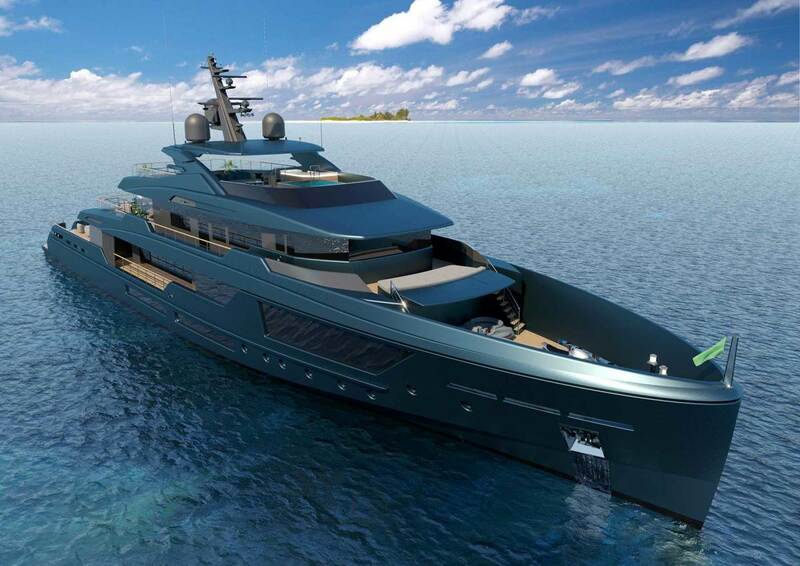 The petroleum-blue hull color was chosen to blend in perfectly with the sea. 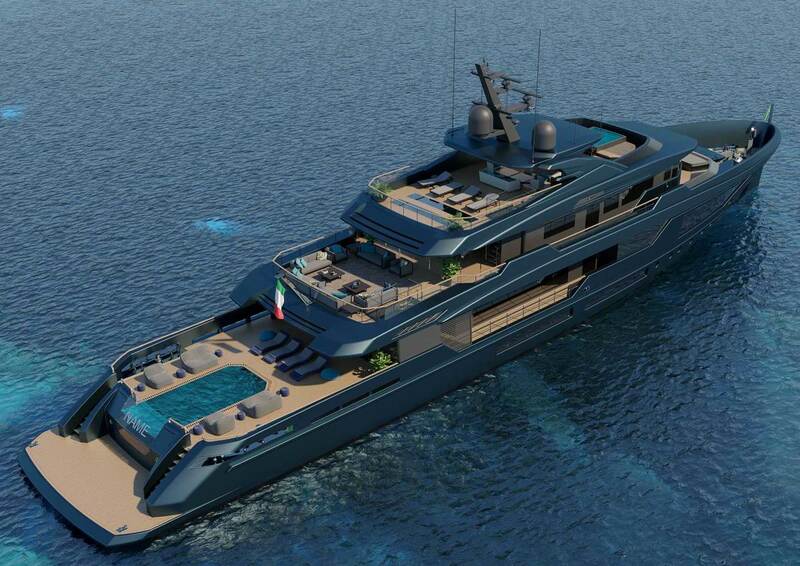 The large external spaces include two flush-deck pools: one on the main and one on the fly deck as well as a generous beach club. 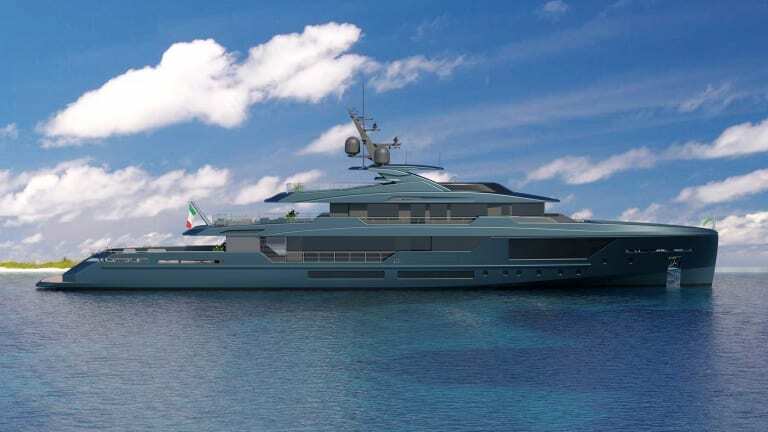 Two different main deck layouts offer the option of either dedicating the whole forward area only to the master suite or fitting it with an extra VIP cabin on the starboard side. 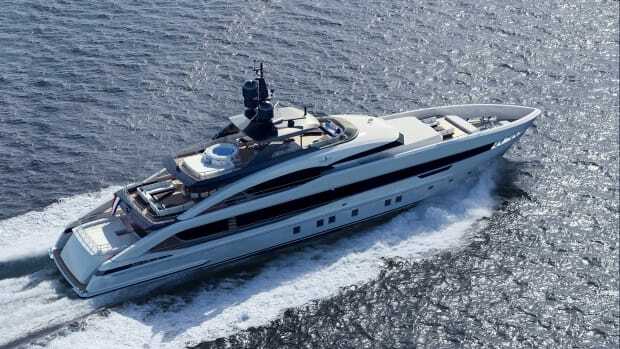 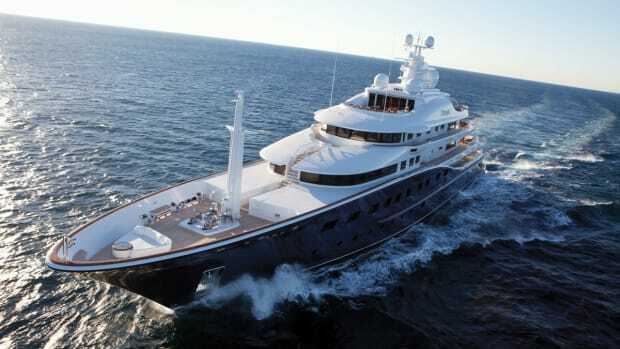 Whichever the version, the accommodations also include four en suite guest staterooms on the lower deck as well as six cabins for the crew, and a captain’s cabin on the upper deck.